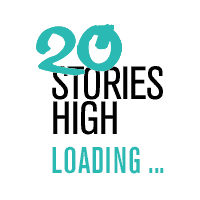 20 Stories High make theatre that is… gritty, jumping, melodic, rebellious, contemporary, mashed-up, authentic, original, visual, challenging, lyrical, tender, anarchic, diverse, surprising, booming, political, funny, collaborative… and heart-felt. 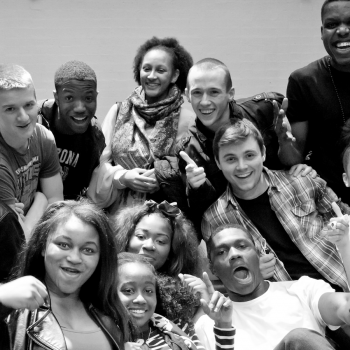 We make theatre with young people from excluded communities, emerging artists & world-class professionals. We bring new audiences into theatre venues and also take theatre out into their communities locally, regionally, nationally and internationally. Julia studied Drama and English at Birmingham University. She has worked at Theatre Royal Stratford East, the National Theatre and The Black-E. Her shows for 20SH include Tales from the Mp3, Black, Blackberry Trout Face and Rain. She loves riding her bike, especially down hills. Nathan studied Theatre and Performance at Leeds University before moving to Nottingham to become the Diversity and Participation Officer at Nottingham Playhouse.  Directing for Nottingham Playhouse includes Noughts and Crosses, The Domino Effect, Holloway Jones. Nathan loves hip hop, grime and dancing…….. badly. Leanne has worked at 20 Stories High for four years and loves working closely with our youth theatre/young actors. She is a co-founder of Tell Tale Theatre, a local community theatre group. She is currently enjoying becoming a mum and loves most music ever made! Guy has worked within Theatre and the Creative industries for the last 20 years, most recently as Creative Learning Director at the Dukes Playhouse, Lancaster. Guy is passionate about using arts and creative practices to enable young people to produce their own personal bests and to realise their full potential. Tina has worked in the creative industries in Liverpool for more than 25 years, including roles at Curious Minds, Creative Partnerships Merseyside and Merseyside ACME. She enjoys visual and performance art but books, reading and words are what she loves most, and she is a member of two reading groups. Siofra graduated from LJMU in July 2016 with a Drama and English degree. She has spent the last five years working across Liverpool with different arts organisations and loves the city of Liverpool. She’s a huge fan of great films and smoked cheese. Rosalyne is a creative practitioner with experience taking theatre and creative arts to the heart of communities. She studied Acting and Community Theatre and is on placement from the Regional Theatres Young Directors Scheme. Nathaniel is a theatre making, melody composing, beat laying, model posing, workshop leading, project managing, theatre producing, creative talking, fashion styling, interior designing, young people inspiring, teenage dreaming jack of all trades. Kate has been an actor for the last 20 years and is a proud member of Liverpool based Street Theatre Company, EggPeople. She is delighted to be joining 20 Stories High as a PSW as her love of acting began when she was a member of M.Y.T and Liverpool Playhouse Youth Theatre. She loves baking/eating cake and has an unhealthy obsession with glitter! Maria Avelãs was born in 1997 and grew up in Aveiro, Portugal. She experimented with theatre at Start-Teatro (as a hobby) and Gretua (university theatre), where she started as an actress. Then she studied Drama at ESMAE (Porto, Portugal), and she finds herself at the moment doing an internship in Liverpool with the company 20 Stories High. Katy is a residential support worker and looks after children in care on a one to one basis. She has 20 years experience with voluntary organisation the Woodcraft Folk, and helps run the Next To Nowhere centre on Bold Street. Katy is passionate about youth empowerment, inequality, the environment and animals. She loves wild swimming and plays the violin with Liverpool String Orchestra and ceilidh band, Pentland Brig. Lemn Sissay is a poet, author and theatre maker and 20 Stories High’s first patron. The company have been talking with Lemn for a few years about their work and their shared connections; political, artistic and social. James has been involved with youth theatre companies since he was 7 years old and since then, has had a goal to become a youth theatre facilitator. His number one passion is musical theatre and when he isn’t singing showtunes he can be found cuddling his cats, Kit and Chester. Scott has been acting for 8 years and has also been a member of 20 Stories High Youth Theatre and Young Actors Company for that time too. He studied Acting at Liverpool Community College and has been involved in tours and events and festivals as a performer. He is currently working on his first one man dance show project. Josh has been involved with 20 Stories High Since 2012 taking part in various projects. He loves helping to shape and define the leadership of the company by being a member of Future Collective. In his spare time he likes to do charity runs – from 100 meters to half marathons. When he is not running, he is on his laptop gaining useful information to educate and better himself. Isobel is currently studying Drama and Theatre Studies, Media and English Literature at A-Level. She is grateful to 20 Stories High for allowing her to tell her story through the arts and for helping her develop as an artist. Her goal is to make a positive change by addressing political and social issues through her future work. Manoka is a University of Liverpool student currently studying Business. He also a proud member of 20 Stories High, taking part in the Young Actors Company and Future Collective. His number one goal is to make Liverpool a better place either through the arts or business (or both). Actor. Musician. Professional Breather. Young kid, Big dreams. Ambition and Success is what I eat. Young lad with high hopes. Talented. Open-mind, enthusiastic and some would say ‘weird’. Because who wants to be normal like? Yvonne lives and works in Manchester, and is an experienced cultural manager with particular expertise in fundraising and income generation. Yvonne has experience of working in the cultural sector in many different ways. She likes going to see new theatre. Curtis is a writer, performer, musician and creative coach. He is passionate about raising social awareness, connecting communities and freeing the creative spirit. 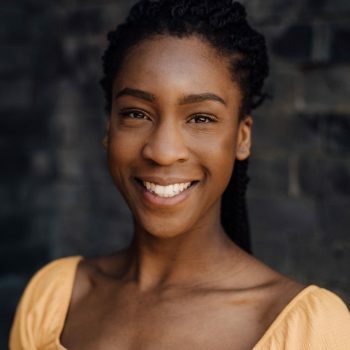 Toyin is a former 20SH Youth Theatre and Young Actors member and was involved in several 20SH shows, including the tour of Tales from the MP3 in 2014. He is currently working full time in industry whilst studying towards becoming a Chartered Management Accountant. Ngunan is a Nigerian Scouser and has been at the BBC 10 beautiful years working on inspirational projects and stories for Upfront, BBC Radio Merseyside’s African Caribbean show. Ngunan has always had a passion for working with disengaged and disadvantage women and young people, using media to empower and educate the masses. Heather graduated in Media at Liverpool John Moores University. She has managed a number of Social Responsibility projects in the corporate sector and holds qualifications in Marketing, personal coaching and Major Donor planning. Heather is passionate about engagement and encourages collaboration amongst teams. 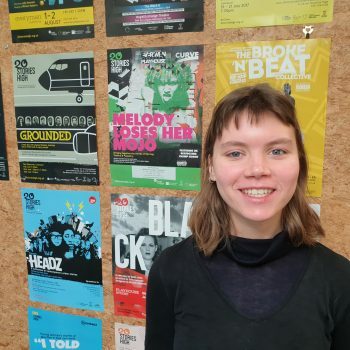 Martha has worked in marketing in publishing and arts organisations, including Trestle Theatre Company and the Bluecoat. She now provides strategic support to help small businesses and non-profits get the most from social media. Kieron was born and brought up in Wallasey, Merseyside a long time ago. He makes entertainment, factual and documentary programmes and still gets excited about coming up with ideas, telling stories and creating something new. Charlie is a proud scouser who works as an arts fundraiser in the music industry. She loves theatre, music, art and football – and believes passionately in positive social change. Her most memorable live concert was watching Primal Scream at her first Glastonbury aged 17. Her super power would be to play football with a right foot like Steven Gerrard and the left foot of John Barnes. Alice is the Cultural Education Co-ordinator for Liverpool Learning Partnership, connecting arts and cultural organisations with the education sector. Alice loves theatre, writing, reading, drawing and painting. She is passionate about using arts and creative practices to inspire and empower young people. Maria Avelãs was born in 1997 and grew up in Aveiro, Portugal. She experimented with theatre at Start-Teatro (as a hobby) and Gretua (University Theatre), where she started as an actress. She studied Drama at ESMAE inPorto, Portugal. She in on internship at 20 Stories High as part of the ERASMUS Exchange Programme.  Rosalyne Norford is a creative practitioner that specialises in taking theatre and creative arts into the heart of communities. Her aim is to ensure that everyone has the opportunity to engage in high quality art regardless of their backgrounds and abilities. With a background in community theatre, Rosalyne studied BA (Hons) Acting and Community Theatre. Rosalyne is passionate about artistic projects that allow those involved to have the opportunity to shape the world around them.  Previous work includes working with Z-arts as lead artist in The Ministry of Lost and Found, performing with Wild Rumpus & freelance practitioner with The Royal Exchange, Manchester. We work with a whole range of artists, both locally, nationally and internationally. Here you will find everyone all the artists who have been part of our creative teams. 20 Stories High were awarded £5,000 after winning nominations across the North West for the Lloyds Banking Group Community Fund.  We are proud to have been finalists for Best Charity or Social Enterprise in Liverpool and Best Business Making a Social or Economic Contribution to the Region. Firefit are Liverpool’s Super Youth Zone. A state of the art, world class facility for young people. A centre for sports, music, culture and diversity designed by young people – for young people. Promoting racial harmony through education, sport and the arts, promoting the celebration of diversity and personal integrity and the realisation of potential of all young people. COAP supports an online community for young people, ranging from 7 to 30 years of age, that have concerns about another family member’s addiction. 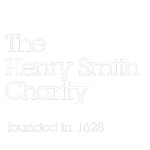 As a charity, we are very grateful for the support we receive from a variety of funding bodies.  All the work we deliver both locally and nationally is reliant on the generosity of these funders, as well as private donations.  To learn more about our supporters. click their logo to view their web page.